Since the early 90s, Newberg homeowners have been selecting A Cut Above siding contractors to beautify their home with cedar, stone and fiber cement replacement siding. A Cut Above Exteriors is dedicated to delivering value: means quality siding products, expert siding installation teams, and award-winning customer service. While some siding companies think short-term we play the long game because we want you to continue to recommend us to your friends 20 years from now. To demonstrate our long-term commitment to you, we will give you a Lifetime Transferable Craftsmanship Warranty on all home siding installations using our exclusive Water Management System. 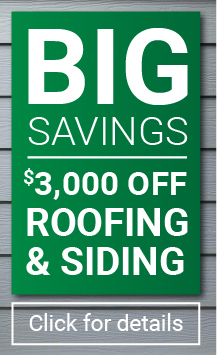 Call today to learn more about our siding warranty. 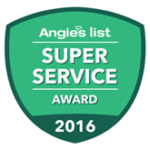 A Cut Above is proud to be a regular winner of the Angie’s List Super Service Award. Our focus on customer service, on delivering value through quality products, and our strong warranty, all work together to make sure you are happy with the outcome of your replacement siding project. Call for an estimate and find out why we are a yearly winner of the Angie’s List Super Service Award. After careful analysis we chose siding products we believe deliver the greatest value in the Pacific Northwest, products designed to protect your home in our wet climate. The products we selected include James Hardie Hardiplank siding, real cedar siding, real cedar shingle siding, and both decorative brick and cultured stone siding. “5 Stars! Thank You A Cut Above for our great siding. We are very happy with it. Not only do we have one of the best looking houses (for years to come) but we also have less health problems from the mold removal. We are so happy we chose A Cut Above. Newberg Oregon, incorporated in 1889, was named after Neuberg Germany by the first postmaster. As of the 2010 census just over 22,000 people lived in Newberg but it has grown rapidly along with Portland over the last decade. The Friends Pacific Academy, renamed multiple times, eventually was renamed George Fox University in 1949 and can be found on US News & World Report’s “Best Value” list of colleges and in 2011 on Kiplinger’s top 4 list of “Best Value” for christian colleges and the top 80 for private schools nationwide. Newberg’s most famous resident is former US President Herbert Hoover who moved to the city in 1885 as a youth. Need more info? Call 503.334.0733 and we’ll answer your questions.